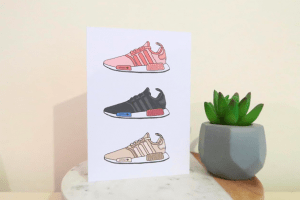 Singapore, urban artist and founder of The Cheryl Co. Cheryl Wong, has brought together her latest epically urban prints and designs as part of her latest project. Based in Manchester, Cheryl has used the rainy cities infamous architecture as her point of interest. Born out of an amalgamation of loves; travel and doodling. 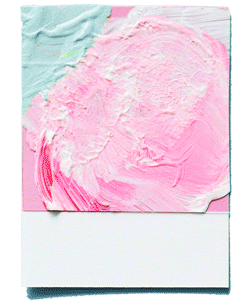 Her postcard ranges (now available to purchase) are a breath of fresh air, with their clean lines and original style. It all began when I was feeling very stressed in my postgraduate studies. I had tried a lot of things to relax but illustrating was the only thing that worked. The process allows me to put my focus and creativity into one space, that not only helps me refocus my thoughts, but calms me down in ways I never thought possible. My main inspirations are the people I love and the places I love. Since growing up, people have always been a big part of my life. I love the energy I get when I’m around people so it was a no brainer to illustrate the loved ones in my life. I slowly stepped out of my comfort zone when I started sketching architecture and buildings in the city of Manchester. Coming from Singapore where buildings are modern and tall, Manchester offers me a different perspective. With buildings way older than my own country, the lines and shapes tell some of the best stories of meticulousness and details. Other things that inspire me includes anything that makes me chuckle – like my favourite TV show of all time, F.R.I.E.N.D.S! Amazing how a show that premiered more than 24 years ago still remains so relatable and funny today! Why inanimate objects as your subject choice? Honestly, my illustration subjects are simply things I want to immortalise through my own take on creativity. We all want to live in a world where we can shape and mould everything to our own liking and as crazy as it sounds, this is my way of doing it. For instance, my trainer series – I am the greatest lover of shoes and I love them so much I want them everywhere! On my walls, in my laptop and basically anywhere on top of my feet and I guess that is one way to see it. Similarly with buildings, of course I won’t be able to bring buildings home and sometimes, taking pictures of something is just not enough, illustrating it makes me appreciate every line, every curve and somehow be part of the whole experience. I guess I enjoy the beauty of simple lines and occasionally the pop of colour. Everything is so loud and messy these days, and although there is great beauty in that, sometimes the greatest beauty comes in the simplest forms! I’m definitely stepping out from my comfort zone again and challenging myself to illustrate in more detail, to take effort and really analyse and appreciate every part that goes into a full picture. One of the most detailed illustration I’ve done to date is of the midland hotel and it took me nearly five hours! But seeing the finished picture, the sense of accomplishment and admiration is pretty nice and I would like to experience more of that! You’re all over social media, but is there anywhere we can physically find you? For now, you can find all of The Cheryl Co’s products online but I am in talks with some amazing people to possibly sell my illustrations in-store so, stay tuned to this space! For a chance to win a collection of 3 urban postcard prints from The Cheryl Co. enter by heading over to our instagram page.